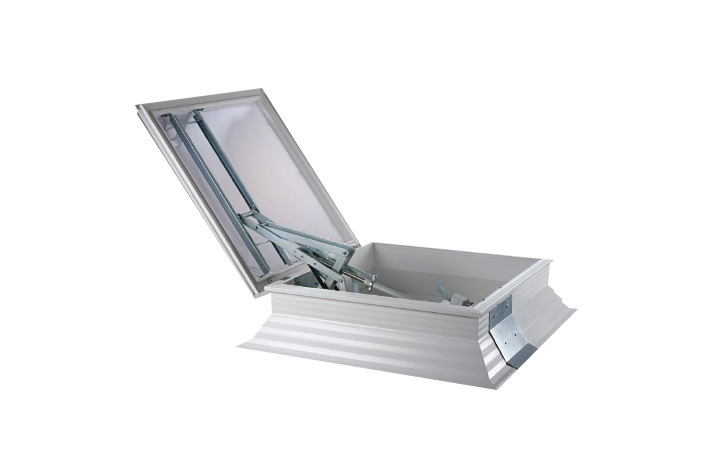 We supply louvres, hatches and dampers for all automatic opening vent applications. We are specialists in supplying dampers and made to measure hatches and louvres for new build and refurbishment projects. Please check out our gallery below for more information. You can click on an image to enlarge it, or click on a product name to find out more information. The Stirling smoke and heat exhaust ventilator (SHEV) opens to 140 degrees within a 60 second period and is tested to BS EN12101-2. 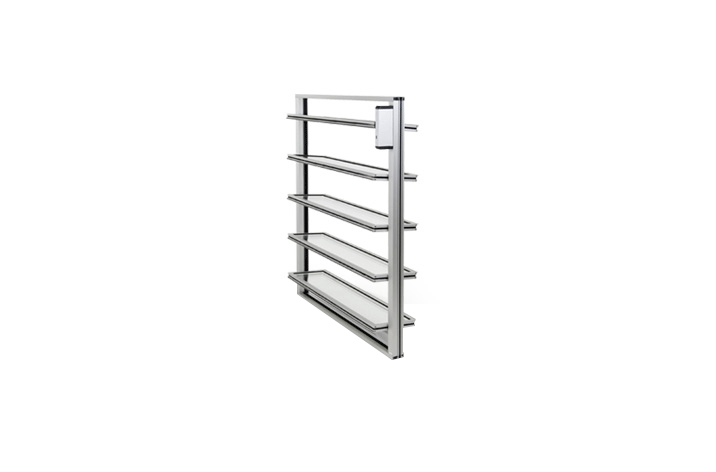 It meets the need for 1.0m2, 1.5m2 and 3.0m2 automatic opening vents (AOV’s) and can be fitted both vertically and horizontally. Easily extended and adapted to integrate with all types of modern structures. Can be naturally anodised or painted to any BS or RAL. 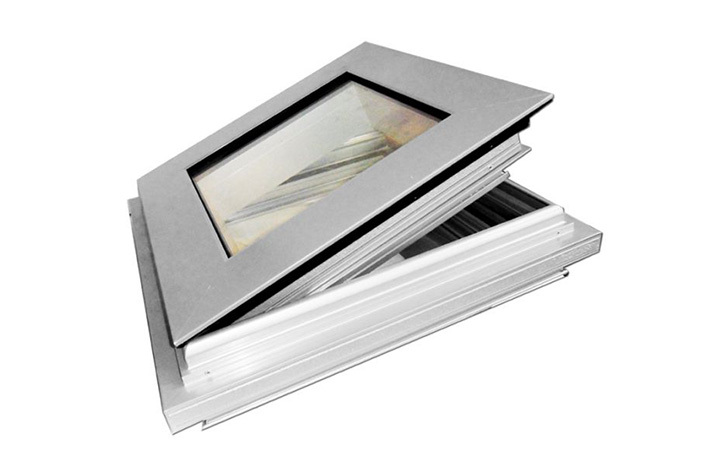 Ultrasky is a high quality glazed natural ventilator designed for both smoke and natural ventilation requirements. Its extremely low air permeability, low profile and aesthetic features offer the ideal solution for modern buildings. Ultrasky has been specifically designed for seamless integration into inclined and vertical glazing systems making it suitable for installation at almost any gradient. 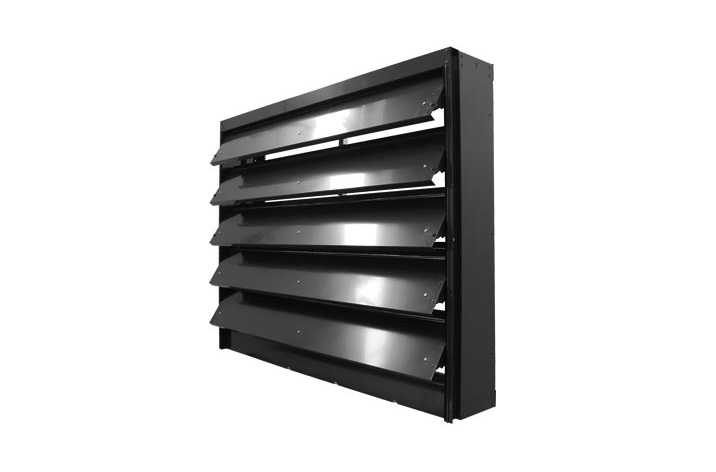 The Multisky is a fully weathered ventilator specifically developed for smoke and natural ventilation for industrial applications.  It offers smoke control protection for buildings, occupants and contents. The Multisky can also be supplied with optional polycarbonate blades allowing it to act as a source of natural daylight. 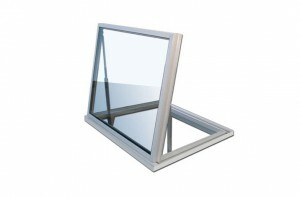 Additionally, it acts as a sustainable, low energy consumption ventilator making it an economical and affordable option. 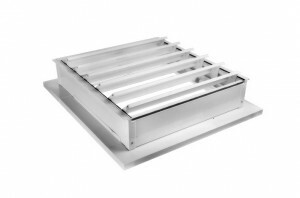 Our smoke hatch ventilators are for smoke clearance of staircases, smoke shafts and lobby areas. Fully certified to EN12101-2, our hatch ventilators comply with the latest regulations and opens to a maximum of 160°, each with a perspex lid to allow natural light through. The hatches are sold as smoke ventilators sized at 1sqm for staircases, or 1.5sqm for head of shaft ventilation. Roof Opensky is a cost effective and energy efficient smoke and natural ventilator for use in Smoke and Heat Exhaust Ventilation (SHEV). 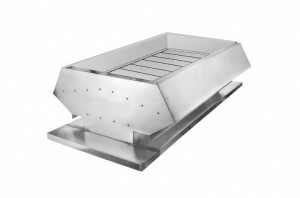 Opensky can be roof or wall mounted for exhaust or air inlet. The system offers effective fire safety with units tested to EN12101-2 for use as smoke ventilators. The roof Opensky can also be supplied with a hinged base which can be utilised as an access hatch. 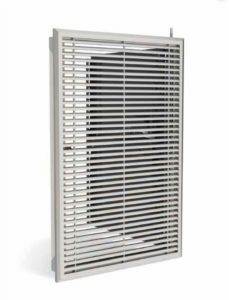 We can supply louvred smoke ventilators for smoke clearance of staircases, smoke shafts and lobby areas. 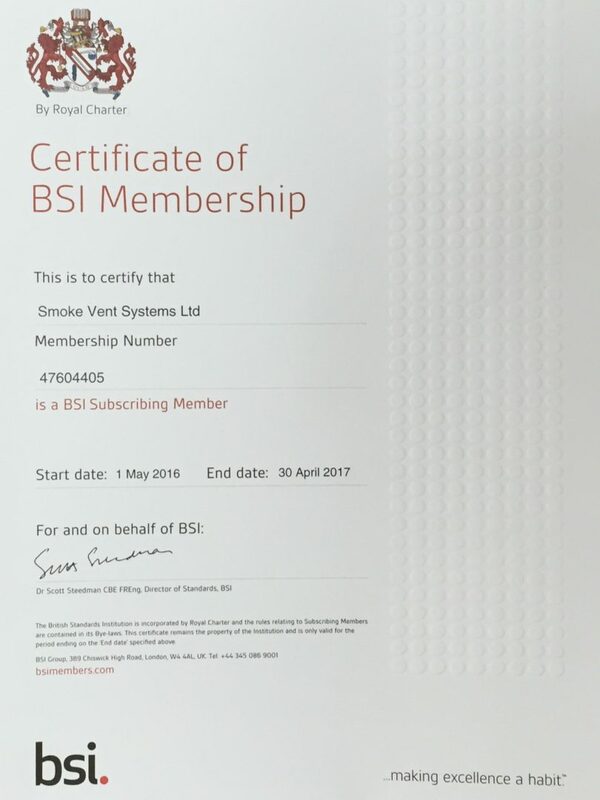 The ventilators comply with the latest regulations and we can issue a copy of the test certificate upon request. The louvred smoke ventilators are sold sized at 1.0sqm for staircases or 1.5sqm for head of shaft ventilation, and can be fitted with perspex blades to allow natural light into the stairwell. Avantage smoke control dampers are noted for their superior airtight properties, fire-resistance of 60 to 120 minutes and low pressure loss. Developed in accordance with EN 12101-8 and tested according to EN 1366-10. Available as single (1V), double (2V) shutter units and a motorised version (ME). Suitable for use in ventilating protected lobbies, venting to shafts either naturally or mechanically for fan assisted shaft extract and pressurisation systems. The PGV glass louvre window is an efficiently modernised conventional louvre. The system has been combined with new technology to create a high quality louvre window with improved light transmission. PGV ventilators are primarily designed to improve climate control through efficient airflow in summer, whilst maintaining the insulation required during the winter. The system offers effective fire safety with units tested for use as smoke ventilators. 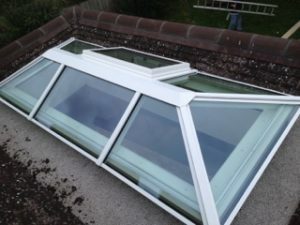 We offer a range of roof lights and lanterns suitable for all types of flat and pitched roofs. Made of aluminium with a polyester powder coat with a life expectancy of 25 years, they have been tested and classed as non-fragile. Available as either a dome or a pyramid, it is glazed using Makrolon Mono Longlife UV resistant polycarbonate sheet. Our range of roof lights and lanterns can be either non vented, or fitted with an opening vent using an actuator. 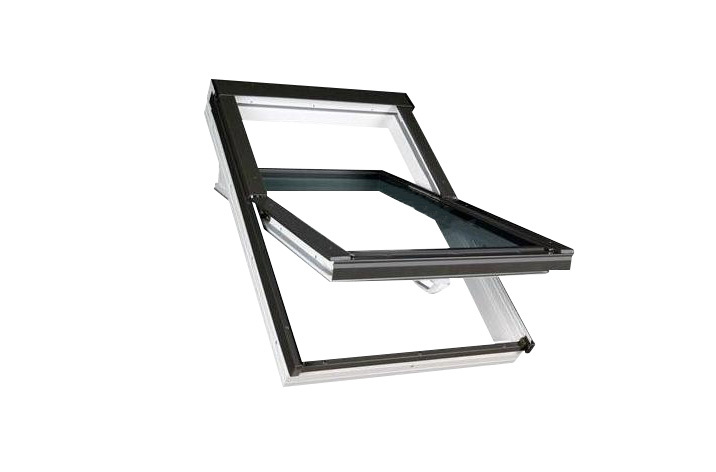 Our centre pivot windows use hinges positioned in the middle of the window height and are easily operated by using the handle positioned on the lower part of the sash. With an installation range of 15-90°, there is also easy cleaning of the outer pane by bolt locking the sash when rotated through 180°. Our windows also feature enhanced anti-burglary resistance and there is the option of installing electrical control if preferred.